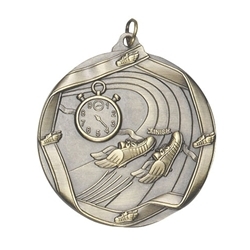 Track Die Cast Medals. These 2.25" diameter track medals come in a gold finish and come attached to a 30" neck ribbon in your choice of color. Free personalization included on the back.